I’m at home today, nursing a sore throat and a cold which was most likely picked up at the end of Abbott’s third annual DX blogger event in Sydney earlier this week. 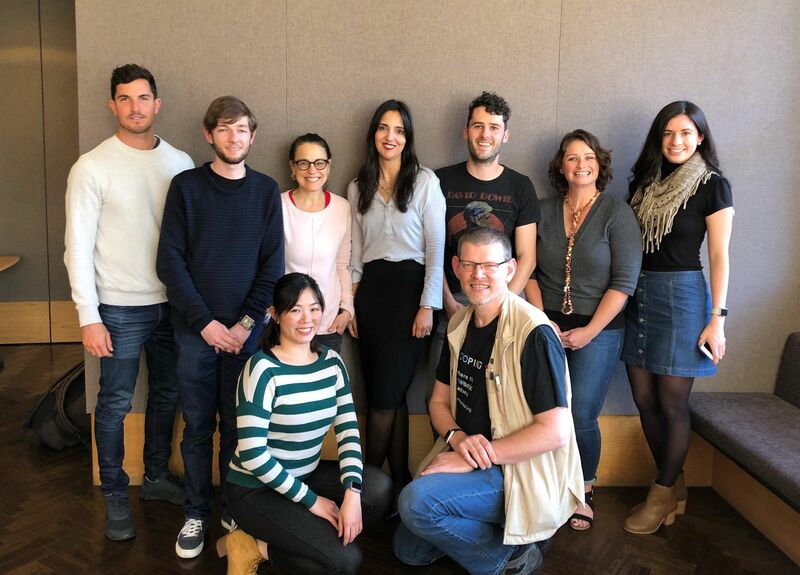 DX – which stands for Diabetes Exchange – is now into its third year Down Under. 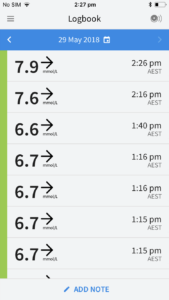 Abbott was the first company in the Australian diabetes space, that I’m aware of, who began talking to consumers when the FreeStyle Libre was launched in May 2016. From there we have seen other companies follow suit, providing more platforms for the lived experience to be heard (no doubt with a little push from some of my fellow diabetes advocates). It was nice to be reminded of my first encounter with this special group of advocates back in May 2016, and how much my voice has grown and evolved since then. This group of oversharers have become somewhat of a close knit family over a short space of time, with a few new faces entering the fold every year. 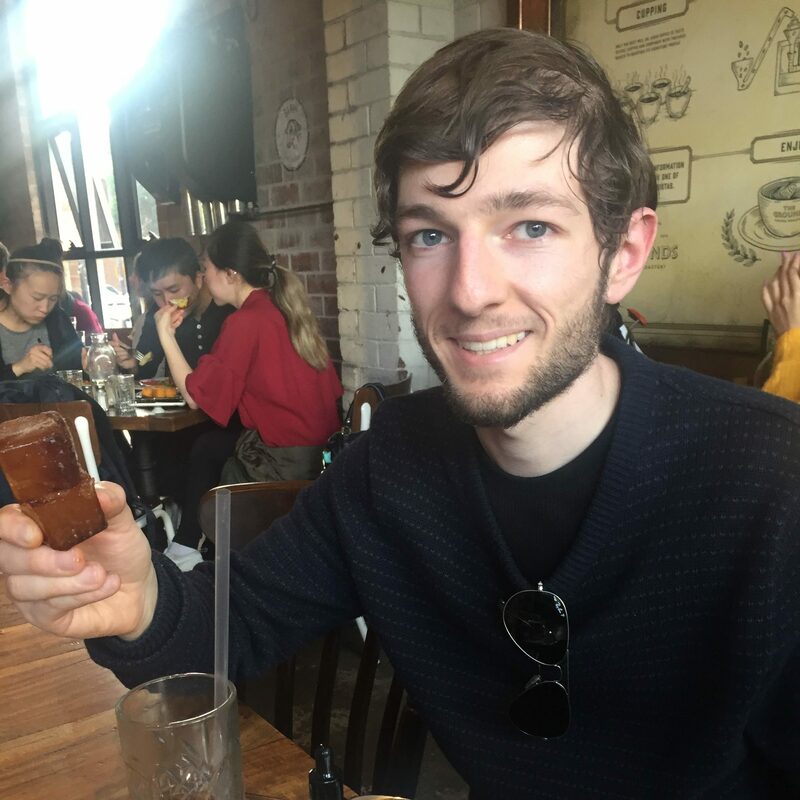 While we were primarily convened ahead of the launch of the LibreLink app in Australia on June 5, we also had the opportunity to present some feedback to Abbott on the FreeStyle Libre. 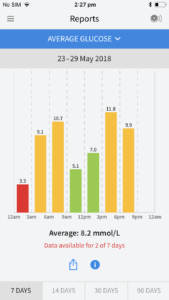 My question to both Diabetes Australia CEO Greg Johnson and the Abbott team was around whether partial subsidies for Flash Glucose Monitoring in the form of co payments would be an option, as seen with our test strips and pump consumables. I have only ever seen full reimbursement noted by Abbott in official communications, and wondered whether more of a focus on partial reimbursement would help get the FreeStyle Libre subsidised sooner. Bionic Wookiee David also rightly corrected Abbott’s term of ‘reimbursement’ with ‘subsidy,’ given that consumers won’t be reimbursed for anything should the product receive federal government funding. Professor Johnson told us that co payments were certainly an option as we often see through Medicare, and that Diabetes Australia were surprised by the Federal Government’s last election promise of fully subsidised CGMs for people under the age of 21. Abbott’s Regional Director Peter Chalikias told us that reimbursement decisions rested with the Federal Government and the Department of Health, with the company’s priority to get the FreeStyle Libre into the hands of as many people as possible. 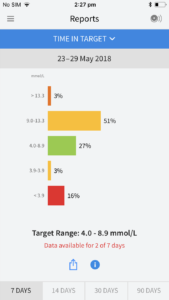 Jessica Shi, Abbott’s QA & RA Manager, must have been reading my mind when she addressed the need for call centre staff to better gauge the level of expertise from the person with diabetes reporting an issue over the phone. Nothing is more frustrating than receiving a basic lecture on what interstitial fluid is! Once again, I cannot express how important it is to get in contact with the call centre should you have any issues with the product. Some of Abbott’s current priorities based on user feedback are cost, adhesion and accuracy. 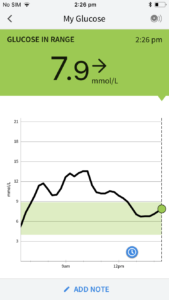 Cost reductions that Abbott are able to make in the manufacture of the FreeStyle Libre get put back into research and development that will potentially help to address these user issues. 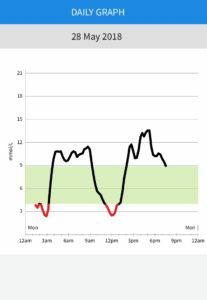 Does that mean we’re likely to see the product shift towards something that more closely resembles a Continuous Glucose Monitor? Would Abbott not prefer customers to be using a more trusted, in house data sharing solution, rather than third party products such as the BluCon Nightrider? At this stage, it’s understandably not a priority. I personally wouldn’t want to see the FreeStyle Libre change. 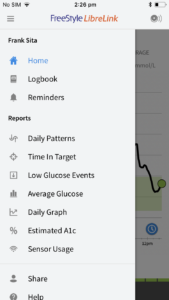 Providing consumers with choice is important, and the product in its current iteration means that more people will be able to access Continuous Glucose Data. My answer to this question I was posed last week was simple. None. I don’t have a technical mind. I don’t know anything about all of the research, development and regulatory compliance that goes into making a medical device as such. Abbott also know that they don’t need me, or any of the other bloggers in the room to sell their hugely successful product. Yet their continued respect and commitment to hearing what’s important to (highly privileged) people with diabetes through these DX events, is where I hope I am making a very small difference. Any company operating in the diabetes space that chooses to engage with people with diabetes is a good thing. It’s been a pleasure to be part of the DX Family. Disclosures: Abbott covered my travel and accommodation costs to attend the DX event in Sydney. 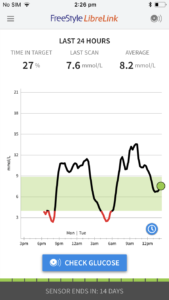 I was also fed and watered through the duration of the event, and received a goodie bag which contained a FreeStyle Libre sensor. 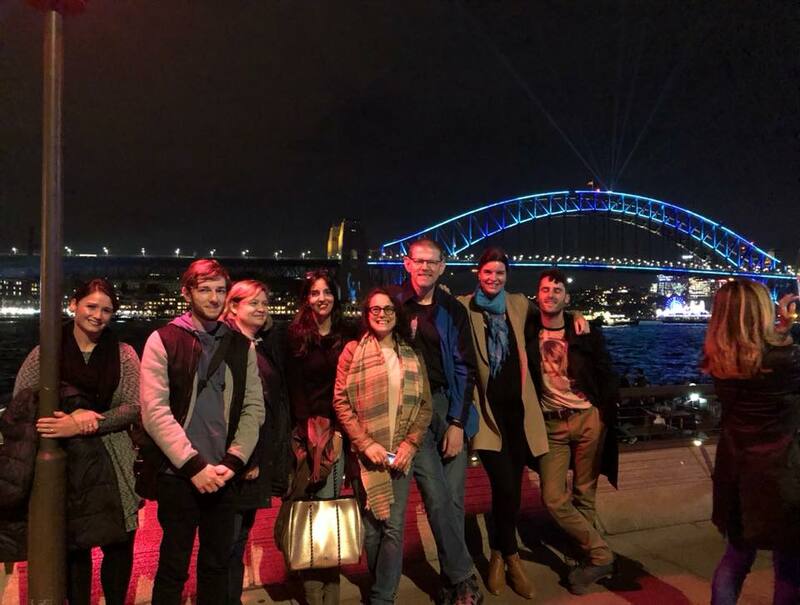 There was no expectation that I would blog about anything covered at DX2 Sydney. My opinions and my time, including the annual leave I took from work to be here, are as always my own.